It’s down, but not out. To one expert observer, last month’s 32-per-cent drop in year-over-year home sales in Metro Vancouver looks more like a cyclical trend than a harbinger of a bursting bubble in the Metro Vancouver housing market. Data released this week by the Real Estate Board of Greater Vancouver indicated that sales volumes fell significantly in September compared to the same month in 2011 — 1,516 properties last month compared to 2,246 in September 2011. Prices haven’t followed the sales volume trend. The real estate board reported that the composite benchmark price fell 0.8 per cent compared to September 2011, and is down 2.3 per cent in the last three months. Tsur Somerville, who holds the Real Estate Foundation of BC Professorship in Real Estate Finance at the University of B.C., says the trends fall within the normal cycle. The Metro market isn’t as popular as it was a year ago when the 2010 Winter Olympic spotlight was still warm. “Sales started being lower year-on-year last November. I want to see whether that (trend) accelerates or not before I start saying that things are much worse than we were thinking about,” Somerville said in an interview. Stats from the real estate board indicate that it’s taking a few days longer to sell a house, compared to last year. Average time on the market for a house sold in September 2012 was 53 days, compared to 52 in September 2011. Houses sold in August 2012 after an average 57 days compared to 48 days a year earlier. Andrey Pavlov, a professor of finance at Simon Fraser University, has a different take on the sales trend. 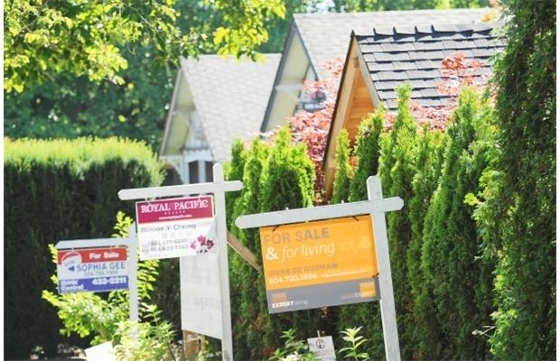 He thinks Metro Vancouver single-family home sales prices are substantially lower than what the real estate board’s benchmark number indicates. “The indices are down only slightly, but this is misleading,” Pavlov said in an email. “In an up market everything sells, good and bad. In a down market, only the best properties sell. So it takes a while for transaction-based indices to reflect the true decline in prices. “My casual observation of single-family homes (land value only) in Kits(ilano) suggests 10 to 15 per cent declines already, with a lot more likely to come. “So there is no long-term reason for price-to-rent ratio in Vancouver to be higher than that of other highly desirable markets,” Pavlov wrote. He also pointed to “competition among cities for people and investments” as an adverse factor for Vancouver. Real estate marketer Cam Good noted that Metro has fewer offshore investors and immigrants looking to get into the market compared to a year ago — and he believes that’s having an overall effect on sales and prices. “The fact is that the shine has gone off Canada a little bit since we closed our investor immigration program,” Good said. “We are seeing through our business in Hong Kong and the U.S. more demand for the U.S. He said the U.S. investor immigration program, called EB-5, is considered a better option for wealthy immigrants. “The easiest way for Chinese to immigrate into Canada was by depositing $800,000 with our governments for five-and-a-half years. They can’t do that any more. Nonetheless, he said some Metro markets are still strong. He pointed to Coquitlam, along the Evergreen Line light-rail transit corridor, as an area that’s attracting interest.